SiteLink, the global leader in cloud-based software and payment processing for Self Storage operations of all sizes, announces their 7th consecutive Best of Business award for Best Management Software from Inside Self-Storage (ISS). ISS produces the Self Storage industry’s leading magazine for owners and hosts regular Self Storage Expos each year, the largest in April in Las Vegas. 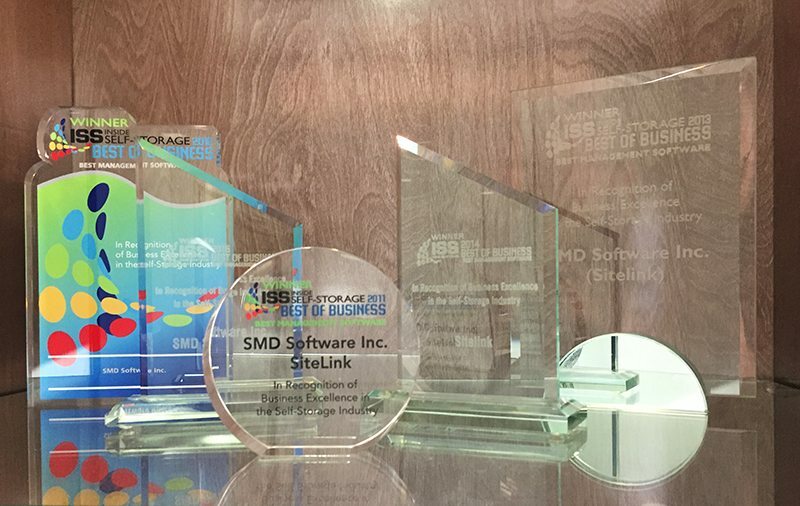 SiteLink is proud to receive this renewed recognition and greatly appreciates the acclaim from actual storage operators selecting their favourite company as the “Best of Business”. “I am personally humbled by this award. To win once or twice is a big achievement; winning seven times is a row is far beyond anything I dreamed of and whilst this fantastic award is for our company, our staff are the ones to be congratulated. They work every day around the world to make our software the best possible,” said Ross Lampe, President of SiteLink Software. “We know customers have plenty of choice when it comes to management software and we really appreciate the support shown to us by our users,” said Markus Hecker, Chief Operating Officer. “Thank you so much”. The voters reflect SiteLink’s continued growth and popularity resulting from innovation, prompt service, superior customer support, and expanding choice in technology partners through the SiteLink Marketplace. SiteLink’s dedication to providing customers with a variety of communication channels and range of options for growing their business was expanded with StorageForum. StorageForum is an online discussion-based site dedicated to the open exchange of information relating to SiteLink software customers and members of the Self Storage industry. Active participants of the forum, as well as casual visitors, benefit from the forum’s free exchange of ideas, expansive knowledge base, and entertainment value. Allowing free and often frank exchange on StorageForum drives innovation, resulting in better products and ultimately happier users. The repeated awards reflect customer loyalty resulting from continued innovation. Several exciting new features are in the works, including a SiteLink Certified Professional training and recognition program, first used successfully in our international business. SiteLink continues to appreciate feedback and suggestions to build on and finesse its self-storage solutions. SiteLink would like to thank everyone who took the time to vote in the Best Management Software 2017 poll. Learn more about SiteLink’s Self Storage software at www.sitelinksoftware.com.au.To learn more about the Self Storage industry, visit Self Storage Startup.